Located just a stone’s throw from Lough Derg in County Clare, Clareville House B&B provides luxury accommodation and spacious ensuite bedrooms. Free internet access and free in-house taxi service to local pubs and restaurants.Clareville House offers luxury accommodation adjacent to Lough Derg in County Clare. Accommodation here consists of spacious ensuite bedrooms with TV, tea and coffee tray, hairdryer and magazines. Breakfasts here are well renowned and guests will be able to choose from an extensive menu that also caters for vegetarians and coeliacs. Those driving to the B&B are guaranteed peace of mind with the private car park while a storage facility for bicycles is also provided. 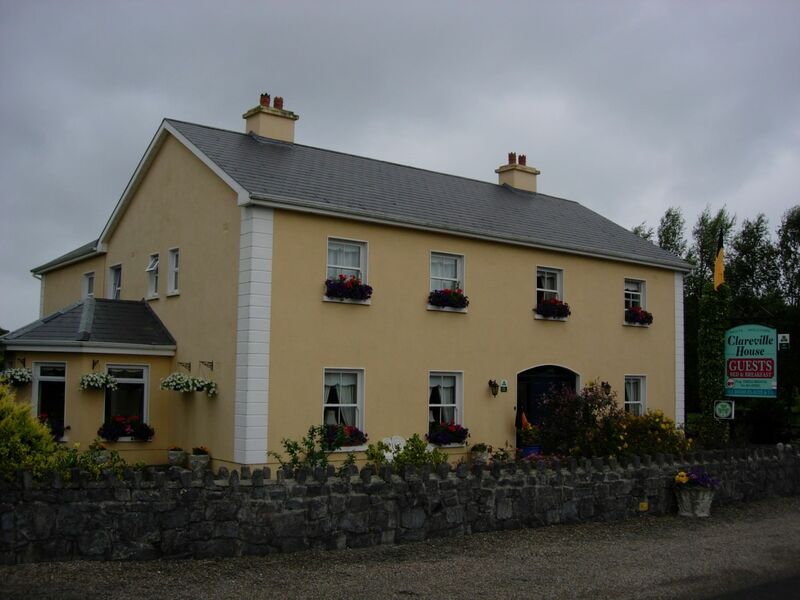 Adjacent to the serene Lough Derg and various other lakes and rivers, Clareville House B&B is ideally placed for keen anglers while golfers can challenge their handicap just two kilometres from the house at East Clare Golf Club. Storage facilities for fishing tackle and bait fridges availible. The area of East Clare offers great opportunities for walkers who can follow the East Clare Marked Walk Way, maps of which can be supplied by Clareville House. County Clare is famously home to the Burren and the Cliffs of Moher, both of which are within convenient distance from the B&B. The accommodation benefits from its proximity to local pubs and restaurants and guests not wishing to drive locally can avail of the free in house taxi service. Day tours can be arranged. Shannon Airport is 40 minutes drive away.